The latent heat of vaporization is the amount of heat energy that has to be added to a liquid at the boiling point to vaporize it. The heat is called latent because it does not heat up the liquid. It merely overcomes the intermolecular forces present in the liquid and holding the molecules together, preventing them from escaping as a gas. When enough heat energy is added to the liquid to break the intermolecular forces, the molecules are free to leave the surface of the liquid and become the vapor state of the material being heated. The latent heat of vaporization does not heat up the liquid but rather breaks intermolecular bonds to allow the formation of the vapor state of the material. The molecules of liquids are bound by intermolecular forces that prevent them from becoming a gas when the liquid reaches its boiling point. The amount of heat energy that must be added to break these bonds is the latent heat of vaporization. The molecules of a liquid can experience four types of intermolecular forces that hold the molecules together and affect the heat of vaporization. 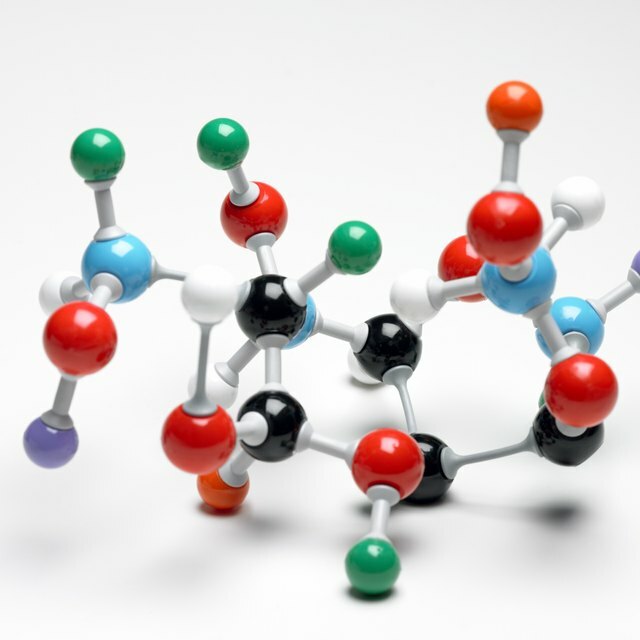 These forces that form bonds in liquid molecules are called Van der Waals forces after the Dutch physicist Johannes van der Waals who developed an equation of state for liquids and gases. Polar molecules have a slightly positive charge on one end of the molecule and a slightly negative charge on the other end. They are called dipoles, and they can form several types of intermolecular bonds. Dipoles that include a hydrogen atom can form hydrogen bonds. Neutral molecules can become temporary dipoles and experience a force called the London dispersion force. Breaking these bonds requires energy corresponding to the heat of vaporization. The hydrogen bond is a dipole-dipole bond that involves a hydrogen atom. Hydrogen atoms form especially strong bonds because the hydrogen atom in a molecule is a proton without an inner shell of electrons, which allows the positively charged proton to approach a negatively charged dipole closely. The electrostatic force of attraction of the proton to the negative dipole is comparatively high, and the resulting bond is the strongest of the four intermolecular bonds of a liquid. When the positively charged end of a polar molecule bonds with the negatively charged end of another molecule, it is a dipole-dipole bond. Liquids made up of dipole molecules continuously form and break dipole-dipole bonds with multiple molecules. These bonds are the second strongest of the four types. When a dipole molecule approaches a neutral molecule, the neutral molecule becomes slightly charged at the point closest to the dipole molecule. Positive dipoles induce a negative charge in the neutral molecule while negative dipoles induce a positive charge. The resulting opposite charges attract, and the weak bond that is created is called a dipole-induced dipole bond. When two neutral molecules become temporary dipoles because their electrons have by chance collected on one side, the two molecules may form a weak temporary electrostatic bond with the positive side of one molecule attracted to the negative side of another molecule. These forces are called London dispersion forces, and they form the weakest of the four types of intermolecular bonds of a liquid. When a liquid has many strong bonds, the molecules tend to stay together, and the latent heat of vaporization is elevated. Water, for example, has dipole molecules with the oxygen atom negatively charged and the hydrogen atoms positively charged. The molecules form strong hydrogen bonds, and water has a correspondingly high latent heat of vaporization. When no strong bonds are present, heating a liquid can easily free the molecules to form a gas, and the latent heat of vaporization is low. What Causes a Lower Freezing Point? Markgraf, Bert. "What Does the Latent Heat of Vaporization Measure?" Sciencing, https://sciencing.com/what-does-the-latent-heat-of-vaporization-measure-13710465.html. 23 March 2018.